According to HubSpot's report, by the end of 2017 mobile commerce will grow to 24.4 percent of the total e-commerce sales. It was also concluded that around 44 percent of consumers would be interested in receiving deals and coupons, from brands, directly on their mobile devices. By 2019, mobile marketing spend is projected to reach $65 billion in the US alone. Apple launched Apple Pay, which seems to be making changes to the financial ecosystem and has given rise to potentially significant disruptions that will be observed in the coming years. Taking a cue from the above mentioned statistics and milestones, indicates shifts in mobile marketing trends. Of course, you can develop successful mobile solutions, once you've come to know about the most popular trends that will dominate 2015 and for years to come. With millions of apps available in the app store and lots more getting developed each day, it is becoming quite challenging to find your intended audience. Of course, in-app promotion is a great way that can help in driving app downloads, but it seems to be getting mature to match up to the ever-increasing competition. In the coming years, you will have to focus more on how deep linking is performed in the apps. Also, you'll need to control how the apps are being served via programs. Basically, the ads will become more focused towards targeting users. Let's face it, publishers are now looking beyond traditional mobile advertising formats, but are still trying out new formats for the same. Till the end of 2014, we've observed that the majority of ad spend was made for installing apps. However, you can see a rise in demand for better mobile ads in 2015, to meet the demand for large screen and high-resolution displays. In essence, as several apps can be seen emulating the look and feel of a website, the same can be experienced in the mobile advertising world as native advertising will gain traction. The benefits of native ads are that they help make people aware of a particular product or service without explicitly promoting them, as they usually talk about something related to the product/service that you might be offering. You would have heard of the overused phrase: "content is king"; this is an undeniable fact and marketers from all over the globe are now focusing on content marketing in a bid to get their message to consumers. But, you can see a lot of new content marketing strategies will be created by mobile marketers to make better use of content marketing for mobile than ever with the help of multiple channels. One great example is tapping the potential of video advertisements to present content. Put it simply, many short videos are running on the Internet that provides informative content that is shareworthy and helps in increasing user engagement. When it comes to video advertising, marketers can consider either YouTube or Vine videos for posting content, since both of them have an excellent viewership and can help in expanding reach to a wide audience base. For the past few years, several mobile platforms have been using location based services that help marketers access relevant information about the current location of their potential customers. These service changes, based on the client's location and thereby help marketers target their clients individually. In a nutshell, with the help of location-based marketing services provide innovative ways for marketers to reach out to a wide audience base. The location-based services, however, will evolve in 2015 because of the development of wearables such as Android Wear and other similar gadgets that pass on information on the wearer's wrists. This has been one of the hottest trends over the last couple of years, and will continue to grow in 2015. Here, I'm talking about the most popular social media channels that have a massive user base such as Facebook, Twitter and others. You can measure the prowess of social media channels from the facts that the daily active users on social networks in 2014 was estimated to be around 890 million in 2014, 64 percent of Facebook users visit the site on a daily basis and so on. Besides, you can take the example of Facebook's ad that helps generate good revenue. This social media channel chooses paid advertising or promotions that are displayed in the users' news feeds. The above statistics clearly indicate that advertising on highly acknowledged social media channels will help marketers earn a lot of incentives. Furthermore, investing in social media channels also help you in getting steady traffic and boost active user engagement. Though understanding users' behavior towards accessing data inputs and shopping isn't a new concept, but the use of behavioral data will increase to create ads that target users and increases the chances of conversions. Behavioral data of users is basically a pattern that those users follow when performing some action, and hence, such information can be used for presenting ads that interest a particular user. Needless to say that user engagement will increase when an app is uniquely targeted. To make best possible use of behavioral data, you should consider creating a page in your mobile app that presents a list of people on the basis of activity they perform in the app, and tell how frequently a user visits your app on a daily, weekly or monthly basis. 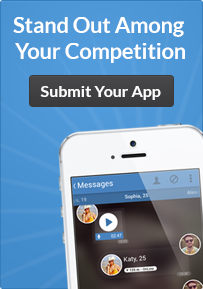 The best way to promote your app is to advertise on other popular apps. In fact, this is a great strategy for people who have created a mobile app for the first time. Well, it's a well proven fact that popular apps have a huge audience base, and thus advertising your product on extensively used apps is certainly going to get attention of users. But, with several other apps choosing to advertise on well-liked mobile applications, you will need to pay heed to promote your own app in a way that easily catches the fancy of users. For instance, many apps opt for advertising on Facebook owing to its large user base. Users are driven by interactive apps. As a matter of fact, the search engine giant, Google has revamped its AdWords to focus more on interactive mobile advertisements. This is suffice to say that interactive ads will gain traction in 2015 and years to come. Interactive apps are focused on swiping navigation rather than clicks and contains high-resolution images. And, when users are presented with mobile apps that they can interact with an enjoyable and in a more personal manner, they are most likely to use that app time and again. Since bigger brands such as Google has implemented this trend, other brands are definitely going to follow the trend too. Nowadays, users want better control in terms of fitness, activities they perform on a day-to-day basis and so on. Thankfully, utility apps help in achieving such goals in a highly effective manner. Whether you need to track your fitness level, or keep track of weather, or want to schedule to-do tasks, etc., utility apps are one of the most popular categories of mobile users. And thus, creating a utility app can help maximize the success of your app. Marketers are making use of utility apps and to earn good ROI from these apps, they opt for in-app ads and purchases. The best thing about such ads to promote a utility app is that they are created in a manner that they don't hamper the user experience in any way. The biggest issues that advertisers usually face is acquiring good users that are likely going to come back and use the app. And so, rather than running after creating plenty of apps marketers seem to be creating one that can help them get quality traffic, so as to achieve good revenues. Marketers have realized that revenues can't be earned by targeting some specific audience, instead it is a combination of operating system, geolocation, and traffic source. Once more advertisers will gain such knowledge, they'll be able to reach their performance goals quickly and effectively. If you're a marketer and would like to expand your reach to mobile users, then above a few trends that you must take into consideration and work accordingly to accomplish your desired goal. Author Signature: Victoria Brinsley is a veteran mobile app programmer for Appsted – Android app development company. With her best assistance, clear all your queries related to development process or procedures.